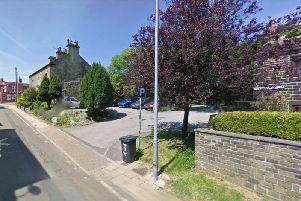 A police cordon remains in place this morning after thieves struck at a Ripponden supermarket during the early hours. Officers were called to reports of an ongoing incident at the Co-op store in Oldham Road shortly after 3.45am today. A police cordon remains in place at the Co-op in Oldham Road, Ripponden, this morning. A spokeswoman said they found damage had been caused to an ATM machine and the cash box stolen. She said enquiries are continuing this morning.